For the third time this year, Krytyka Polityczna met with members of its own organization from across Poland and international friends at the CEE Agora Meeting 2016. 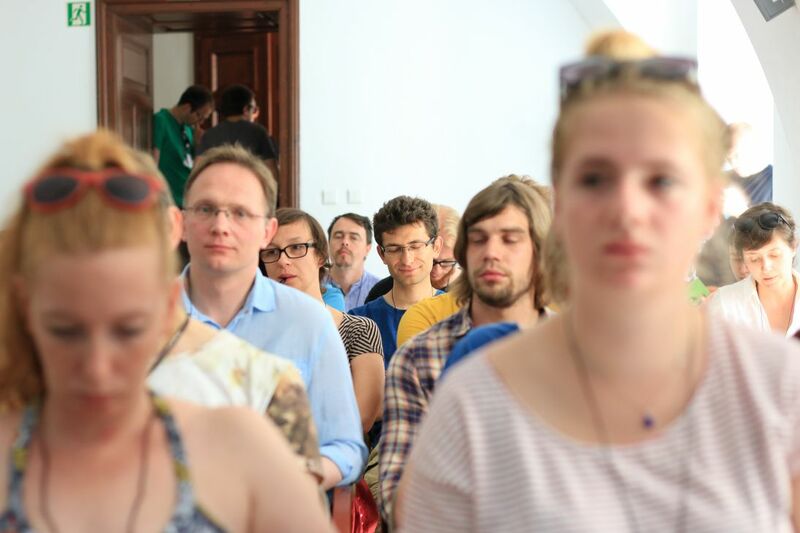 130 people from eighteen different countries, that was the number of guests that flocked to the small town on the Polish-Czech border between 25 and 28 August 2016. 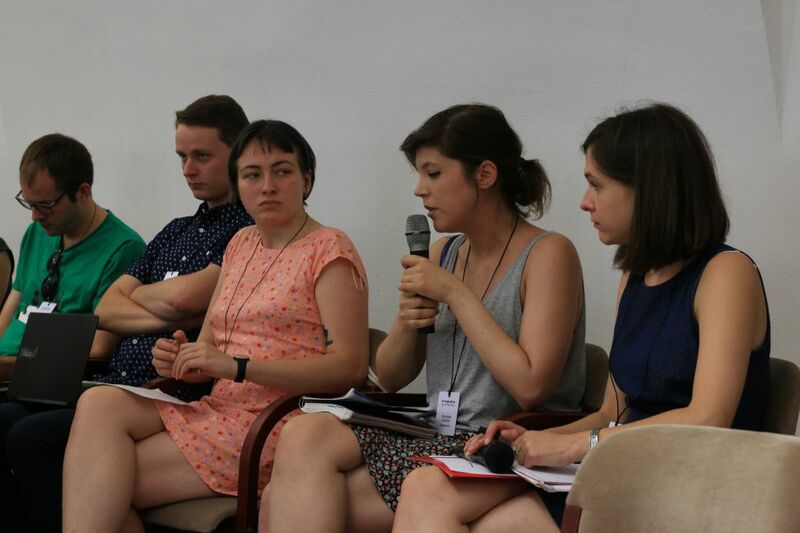 As in past years, Cieszyn was an opportunity for activists on the left from both Eastern and Western Europe to meet, exchange knowledge, share experience, and forge new friendships. 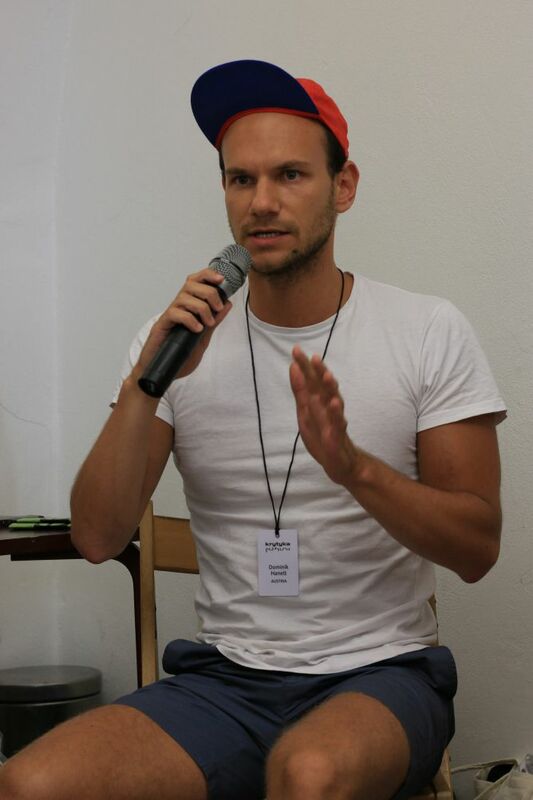 The meeting’s unique strength lies in connecting activists from different types of organizations who are passionate about various issues: from independent media, to urban movements, cultural initiatives, LGBTQI organizations, and more. This year’s meeting was dominated by the central theme of Russia’s relationship to the wider East-Central European region. In the opening plenary session, guests from a number of countries shared their observations on Russia’s influence in the spheres of media, energy policy, and the support of various political groups. 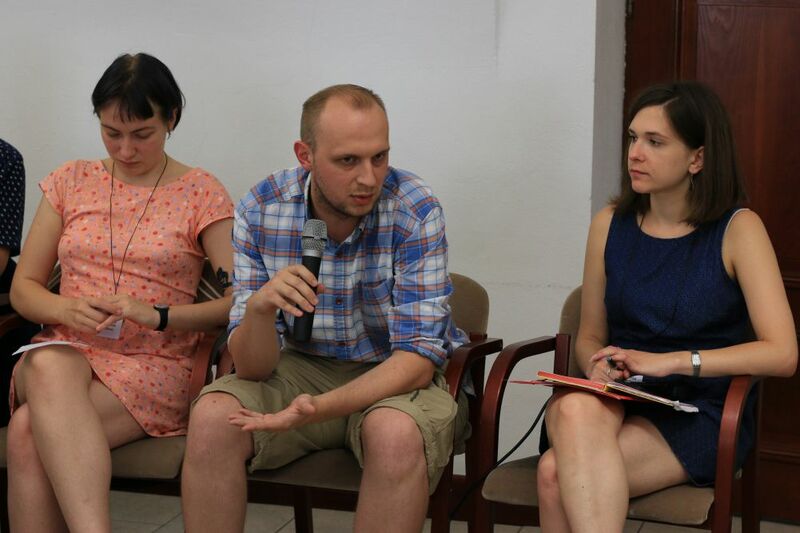 Results of the Kiev workshop on Cultural journalism in a digital age were also presented and a number of workshops were organized over two days further to broaden the scope of debate, including discussions of Russia and the far right in East-Central Europe, the current refugee situation, East European feminisms, and much more. 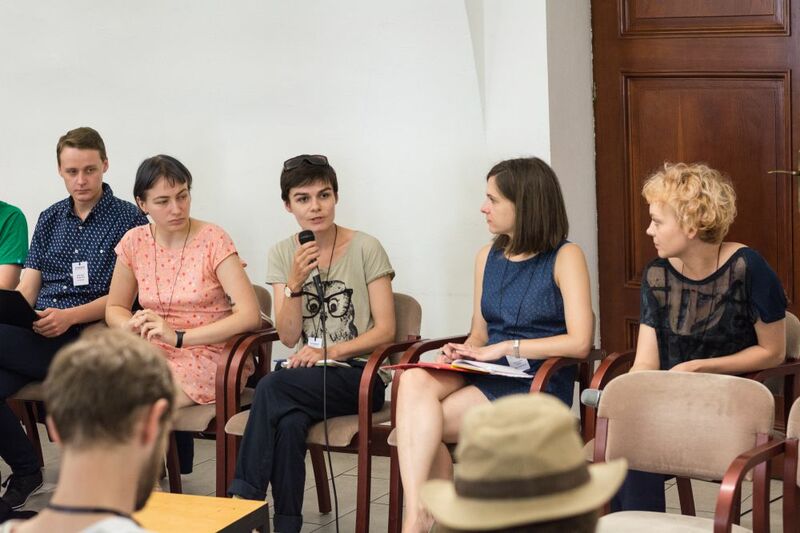 In a premiere this year, the Agora Meeting featured a set of public workshops in both Polish and English, which local citizens were invited to take part in. Topics covered included grassroots culture, practical aid to refugees, a guide to queering up the city, the new left in Poland, and the prospects of Europe and the US after Brexit. 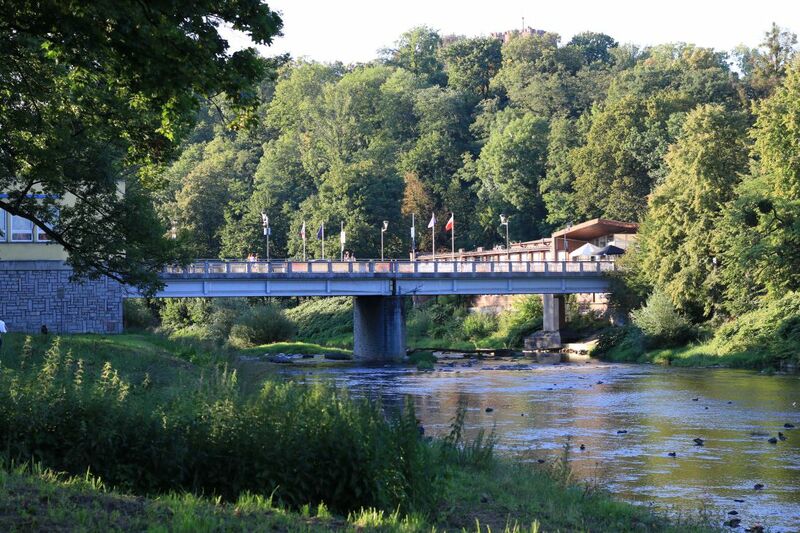 And as in previous years, the meeting was not only an opportunity for working and networking, but also for fun in the ever popular Sikorak pub on the Czech side of the river Olza. We look forward to seeing our friends again next year! 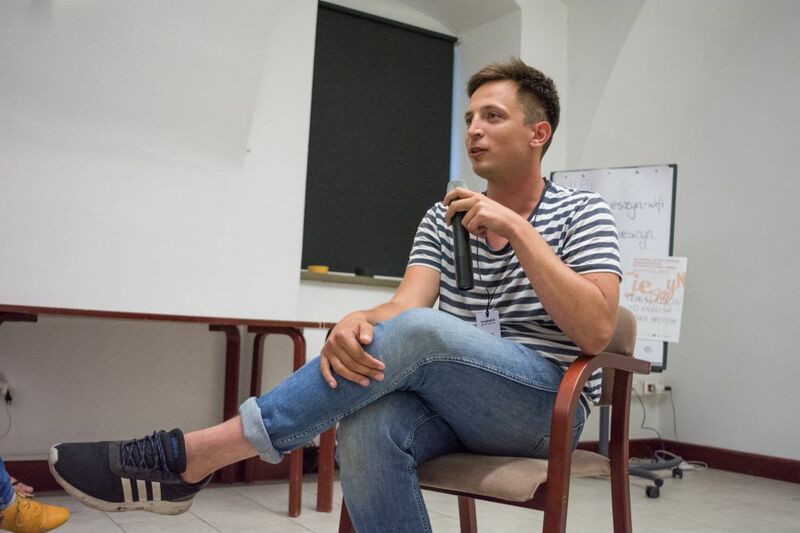 For Krytyka Polityczna’s community, the annual August meetings in Cieszyn have been a celebration and a time to sum up and reflect upon the year’s activities. For the past 3 years the meetings have acquired a new dimension: they have become a place for meeting our friends. We have invited our fellow organizations to get to know each other, to learn something from each other and to talk together about changing the world for the better – something we all share a passion for. Krytyka Polityczna is a Central and Eastern European network of institutions and activists. Since we were established in 2002, we have worked towards making the world into a fairer place. For people following political debates in Poland we are the commentators and journalists, for book readers we are a publishing house, to the residents of Gdansk and Cieszyn we are social and cultural centers working to benefit local communities, to academics, we are the host of seminars, lectures and conferences, organized by the Institute for Advance Study and for the people in Ukraine, we are known as Політична Критика. We are activists, journalists, academics, artists and everything in between. But to one another, we are simply friends. 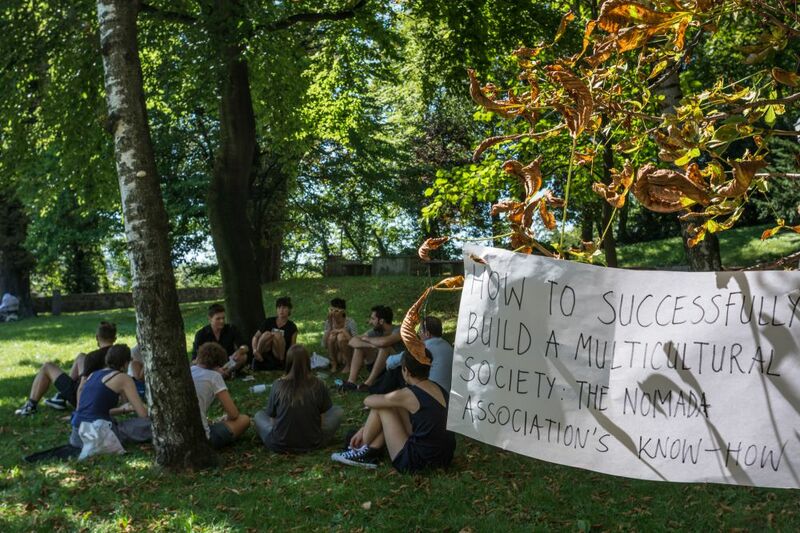 Krytyka Polityczna sees itself as the contemporary heir to the Central and Eastern European traditions of an engaged intelligentsia representing an ethos of public activity and creating a “social glue” through the use of social movements. As Stanislaw Brzozowski, the Polish philosopher and patron of our organization wrote, it is the duty of the intellectual to speak out in favor of creating a better society and to struggle for human subjectivity. 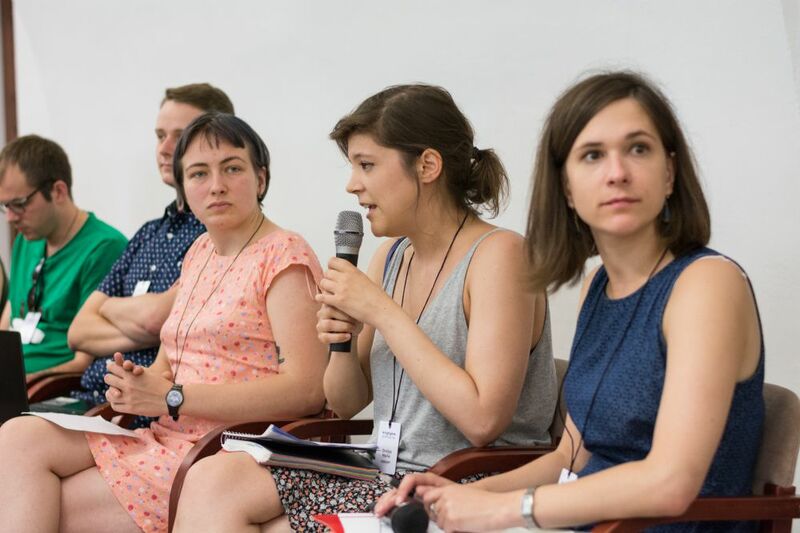 Krytyka Polityczna is a space where we bring together people, ideas and organizations ranging from academics, to journalists, from social activists, to economists and artists and more. All of these people work together to motivate each other, share information and learn from one another to create new ideas. This is one of the reasons why we have invited you all to Cieszyn – we hope that we can cooperate with one another, inspire one another and together, be motivated into action. 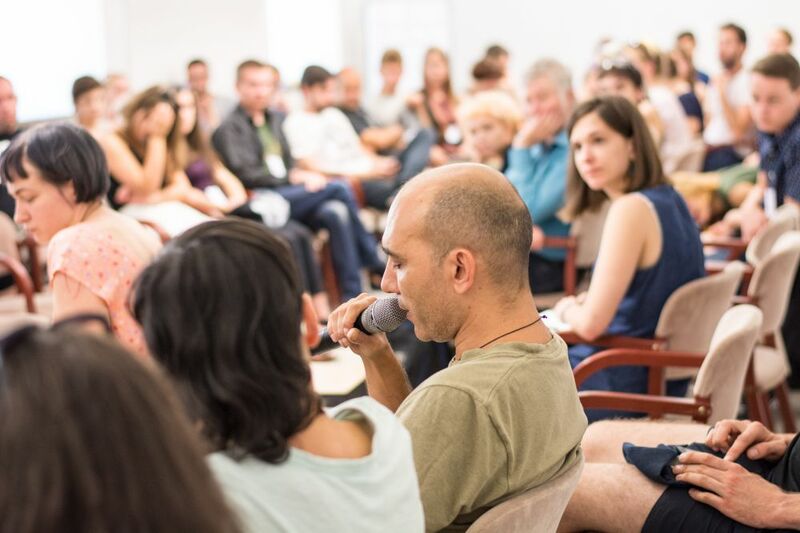 The name “Central and East European Agora Meeting” refers back to the first initiative of this sort – AGORA99, a Euro-Mediterranean meeting which was held in Madrid in November 2012 that was dedicated to issues such as debt, human rights and democracy. As the organizers described it, “Agora is an inclusive meeting organized by citizens and is open for everyone who wishes to attend”. 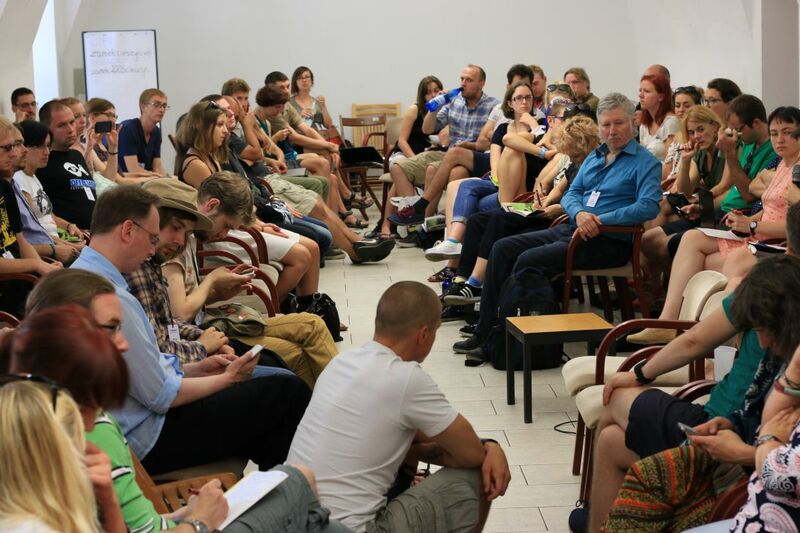 Agora CEE is aimed at combining the dynamics of civil and grass-roots movements from Western and Eastern Europe and seeks to let Central and Eastern European citizens and activists present their issues and problems to find common solutions to the challenges that Europe faces. @15MBcn_int (15 Barcelona International) – the continuation of the Spanish 15M grassroots movement which was established in 2011. Since then, we have been pushing forward different alternatives to the socio-political situation in Spain. 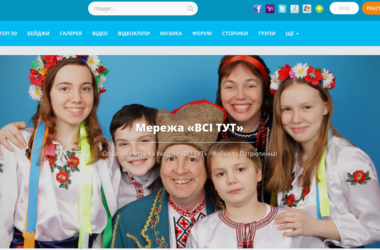 34mag.net – the leading independent youth platform in Belarus. 34mag was first published in 1998 and is known for its creativity and innovation. 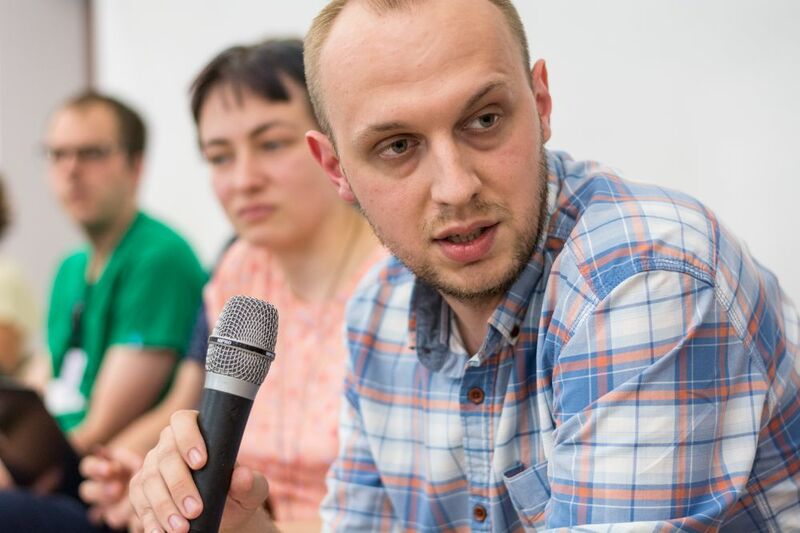 Our main objective is to promote the freedom of speech, creative expression, and independent thought in Belarus and to foster civic activism and solidarity among young Belarusians. A2/A2larm – a Czech bi-weekly printed publication reflecting on literature, film, art, theatre, music and politics. Its online platform, A2larm, provides daily political and cultural commentaries, news, essays, and interviews. It is involved in various forms of social activism. We work with Krytyka Polityczna and other partners within Visegrad cooperation project. 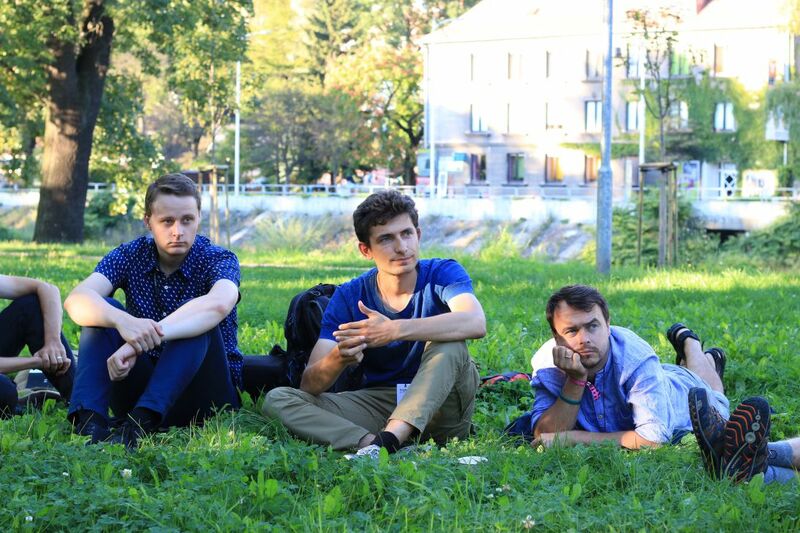 Alliance Operation City – an NGO from Zagreb, gathering a wide range of organizations in the field of independent culture. Alliance Operation City is focused on enhancing the position of independent culture, institutional innovation in culture, common goods and cultural policy. 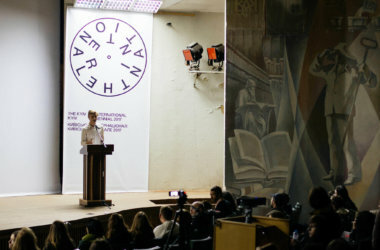 Avtonomi Akadimia – a free to access, multicultural and multi-disciplinary university in Athens, which seeks to utilize the state of crisis in order to achieve major transformations in the education system and in art. We are a platform which stands for the long-term collaboration between representatives of the cultural sector in Europe who have a strong emphasis on education. 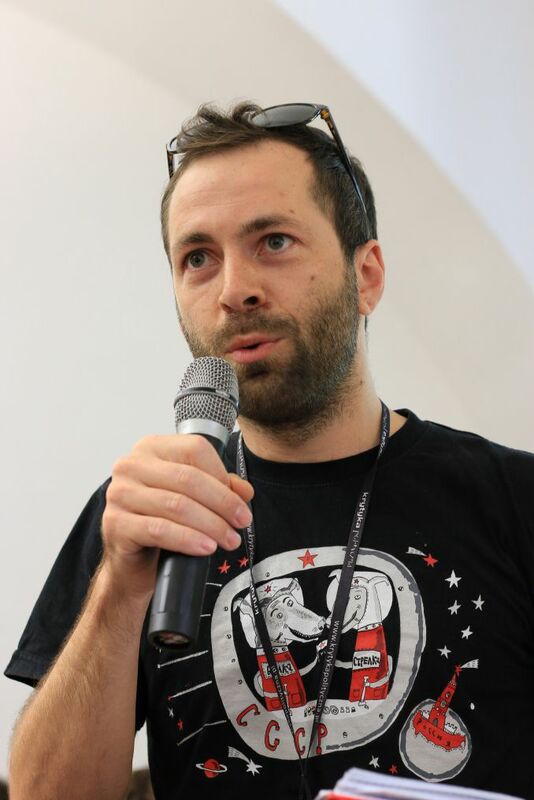 Avtonomi Akadimia has strong links with the Krytyka Polityczna circles in Berlin and Kiev. Bank Watch Network – the largest network of grassroots, environmental groups in central and eastern Europe. We monitor the activities of banks and funds that are often obscure but always important entities that function outside the realm of public scrutiny. We prevent dubious public investments that harm the planet and people’s well-being. 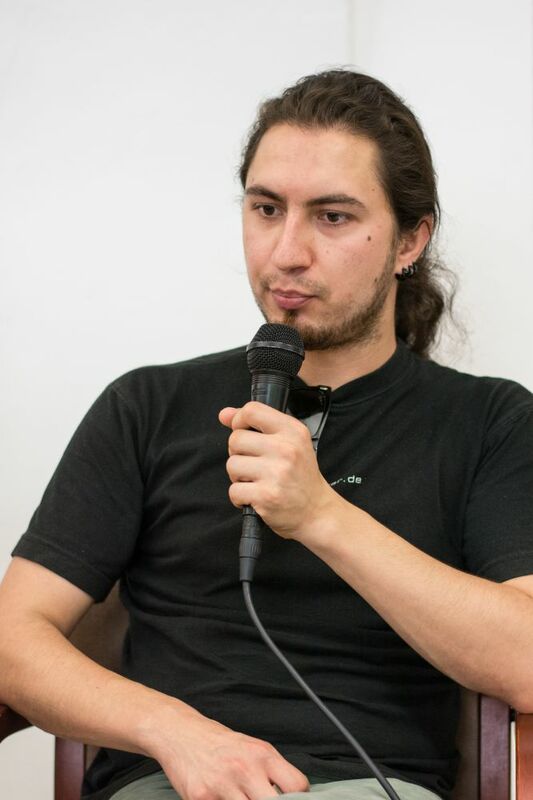 Barcelona en Comú – a municipal political organization that started from social movements in Barcelona in 2014 and eventually won the city’s elections in May 2015. The mayor of Barcelona, as well as other members of our organization, are now in the government and are pursing different campaigns, including international ones. Cooperative “Ogniwo” – a group that co-owns and co-manages a cafe/bookshop/cultural center in Krakow. 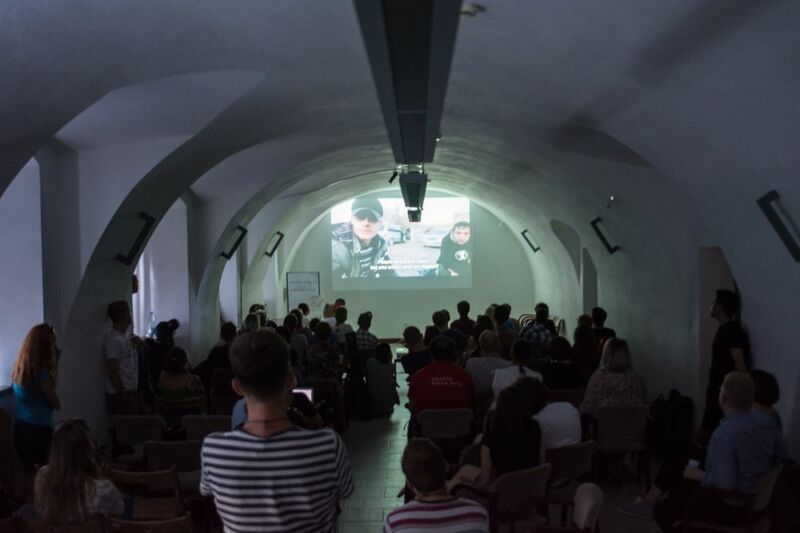 Events organized in our space include meetings with writers, exhibitions, workshops, film screenings, concerts, etc. We have cooperated with publishing houses, NGOs, universities, and other formal and informal groups, especially those involved with human and animal rights. 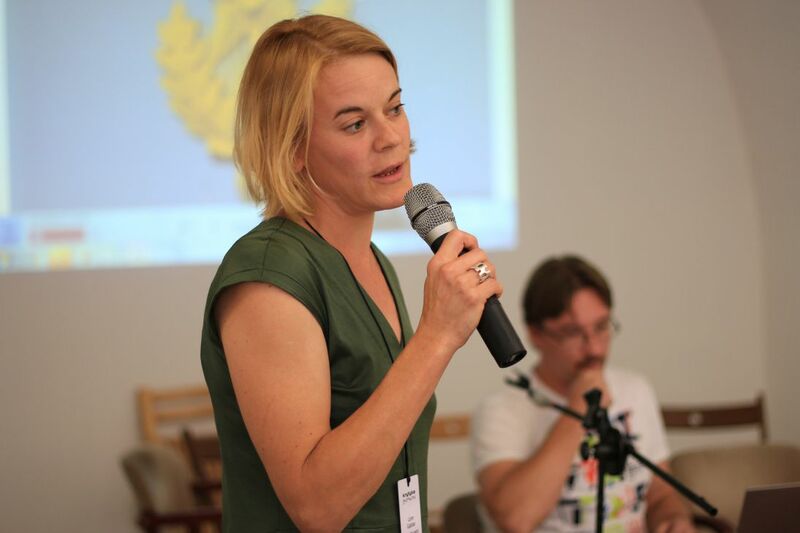 Dekabristen – a platform for the promotion of democracy and human rights in Eastern Europe. 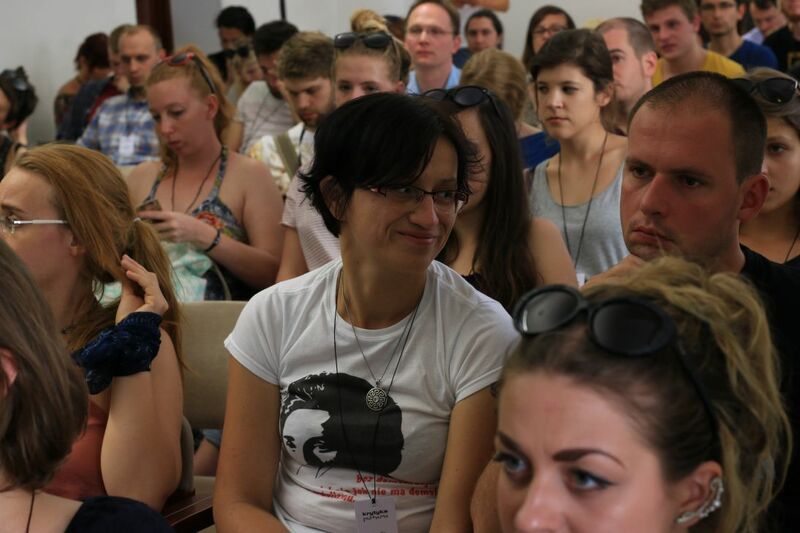 Founded after the wave of protests “For free elections in Russia” in Berlin, we support activists, cultural and media representatives from countries of the former Soviet Union in order to draw closer to our ideal of an active civil society. Dissent – a quarterly magazine based in New York City and focused on politics and ideas. 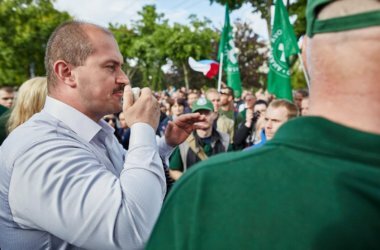 Dissent editors have worked with Krytyka Polityczna since 2012 to cover Eastern European politics. European Cultural Foundation – founded in 1954, is a hybrid foundation that combines grant-making with operational programming and advocacy. 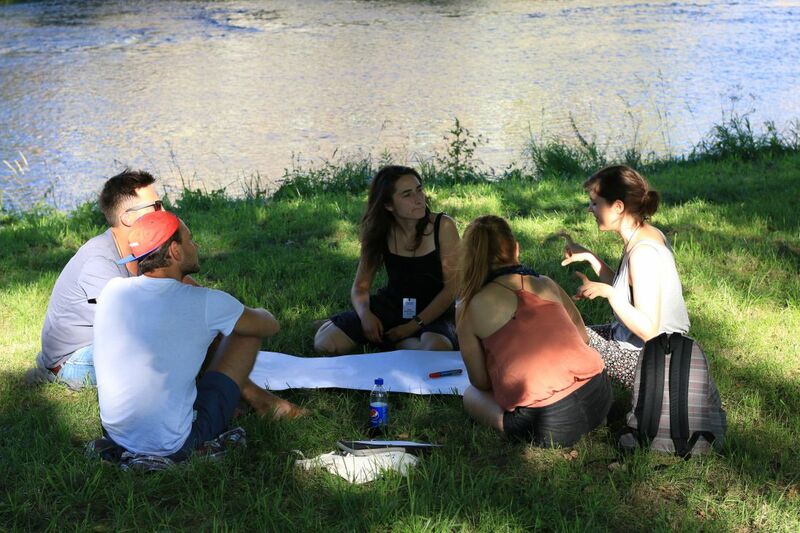 We aim to catalyse, connect and communicate and to act as a bridge between grassroots common practices and policymakers/EU institutions. 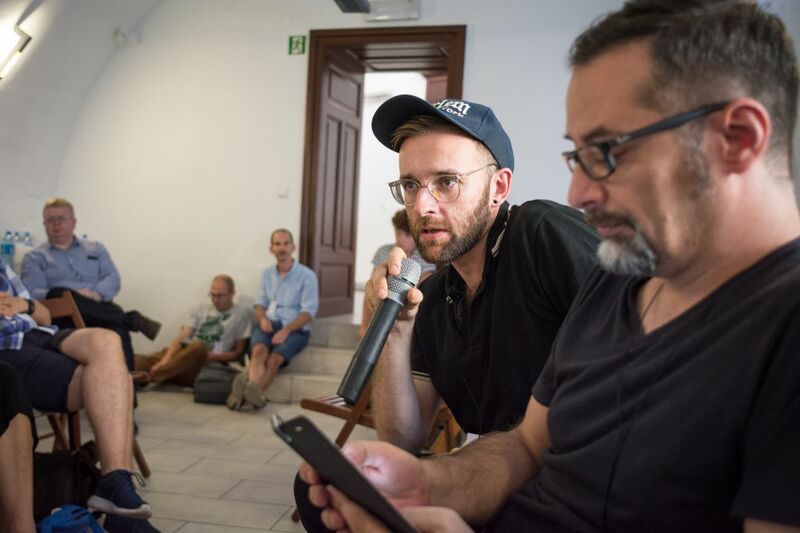 Our main work includes enabling culture-makers to express themselves on contemporary challenges in Europe as well as connecting them across borders so they can spread their message. We achieve our goals through the Connected Action for the Commons Network and research program, an annual ideas camp, grants, a tandem cultural managers exchange program, awards and an online community. 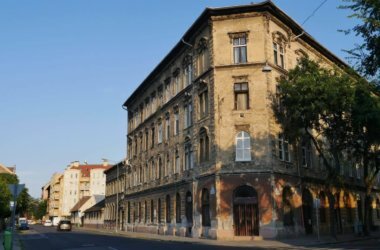 Ferdinand Lassalle Centre for Social Thought – an independent association whose objective is to promote social justice, peace, human rights and sustainable development. 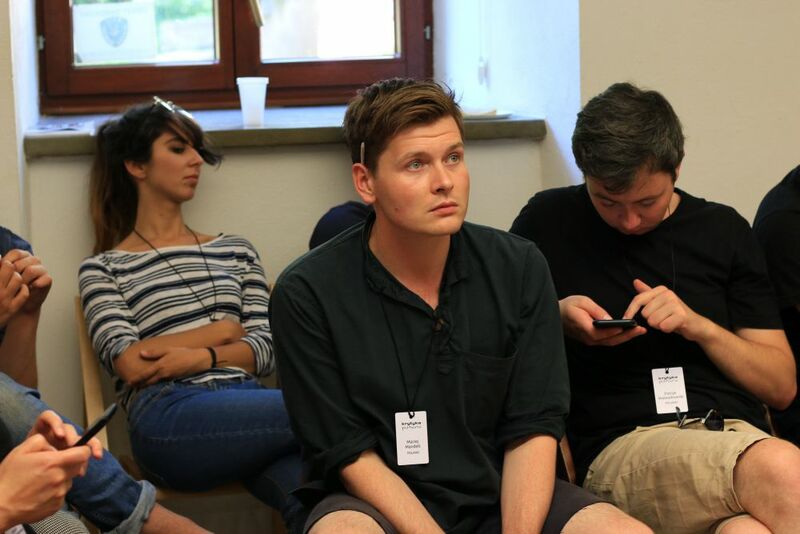 Our activities involve formulating a critical reflection of the contemporary world and its development, as well as building an ideological alternative to the demands of conservatism, liberalism and nationalism that dominate in today’s political discourse in Poland. We pursue our objectives by organizing conferences, seminars, training, workshops and through research, publishing, journalism and social campaigns. Human Rights Institute – aims at protecting and promoting equal access to human rights for all. 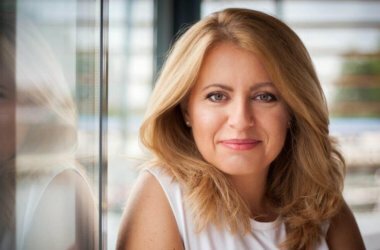 It was established in 2011 and since then has become the biggest, non-threshold member-based human rights organization in Slovakia. 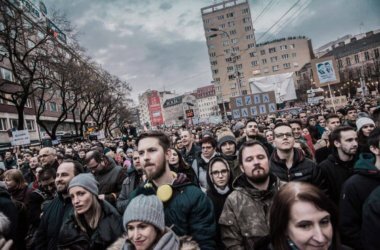 Our main objectives are to raise awareness of and to educate about human rights in order to create a sense of ownership for them amongst Slovakian citizens and to mobilize them when their human rights are at risk of erosion. Our main projects include: the fight against right-wing extremism, raising awareness regarding economic, social and cultural rights, human rights education, LGBT rights and joining global movements against human rights violations. We work with Krytyka Polityczna and other partners within Visegrad cooperation project. “In Corpore” Association – a space for social activism, though it is not limited to efforts for equal rights. With our cultural and social initiatives, we seek to create safe places for the LGBT community to speak for itself and to have the opportunity to be heard by society at large, as well as providing support for emotional wellbeing and mutual understanding. We are currently engaged in several larger initiatives. 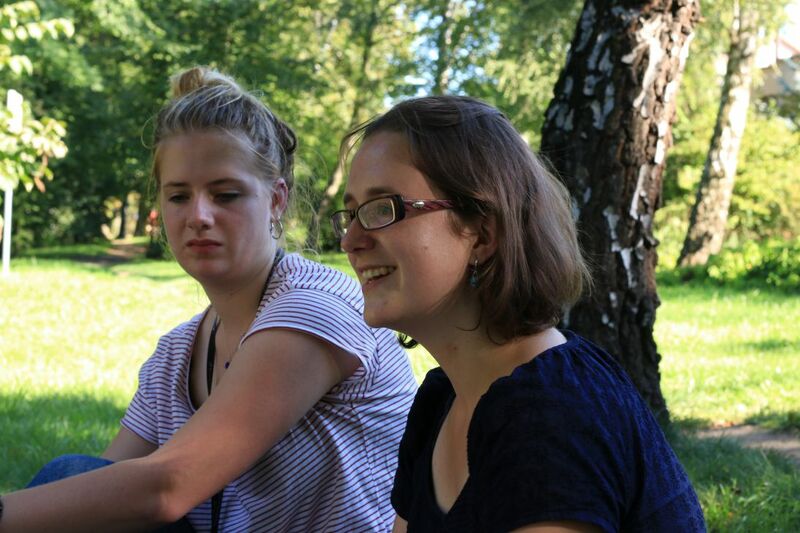 Our two most visible initiatives are the annual Vilnius LGBT Festival “Kreivės” and the platform “išgirsti”. 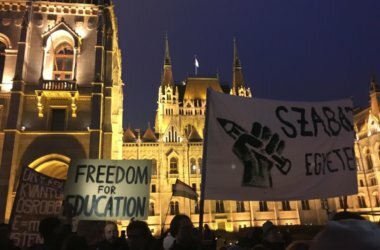 Kettős Mérce – a left-wing activist news blog devoted to Hungarian and international politics, with a special focus on issues related to equality, solidarity, social rights and disenfranchised people. We are involved in activist-based mobilization and in the support of progressive social movements. We work with Krytyka Polityczna and other partners within Visegrad cooperation project. Korporacja Ha!art – an NGO that runs a publishing house, a quarterly magazine, a literary portal, a bookstore in the heart of Krakow and the Ha!wangarda festival. Its team is especially interested in new phenomena in culture, Polish and foreign literary experiments, and discovering forgotten writers. 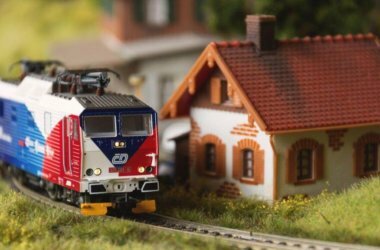 Locomotive.press – an independent media platform, launched in January 2016 which seeks to provide readers with access to people and perspectives that are rarely heard in the mainstream media across the Baltic region. We seek to connect with other independent media outlets and organizations from Europe and beyond. Macherki Association – hopes to add confidence, motivate and protect women. We achieve this through organizing projects and initiatives. MAKEOUT – a project focusing on gender, sexuality and the peculiarities of their manifestations. 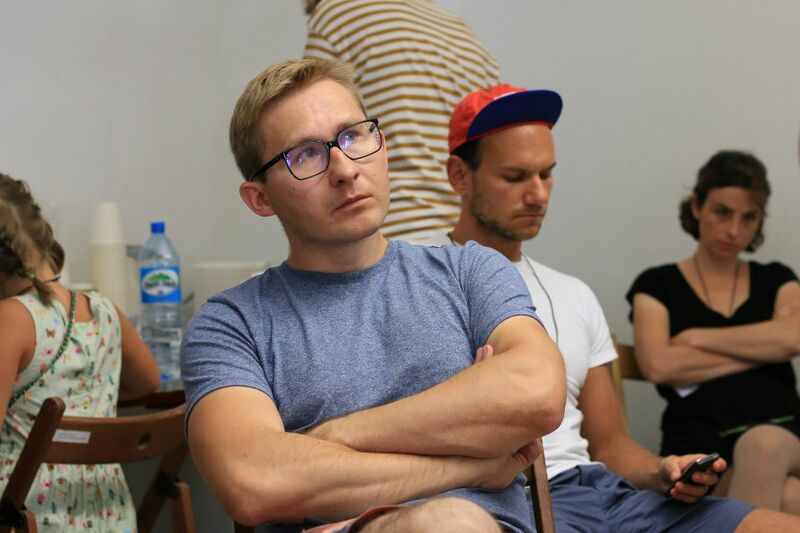 We discuss taboo topics, share experiences, collect and archive the history of LGBTQ life in Belarus, document personal experiences of self-identification and create a space where we can be ourselves. We are a fully feminist project and work to get rid of the common practice of exclusion in order to transform the cultural field and to create a space for us to live our lives. 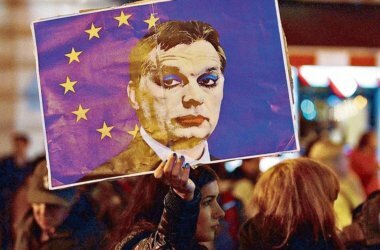 Mosaik – an online publication founded more than a year ago aiming to bring together different strands of the Austrian left and making left political positions accessible to a broad public. Nie z tej Bajki Association – based in Ostrowiec Swietokrzyski, tackles problems caused by the mass emigration of young people from the city and unemployment. We aim to help young artists and those involved with cultural work who return to the city to find new opportunities for self-development. We undertake creative projects to regenerate neglected areas as well as working to help vulnerable young people. We seek to examine the official history of our town and to popularize and create a multicultural future for the city. Nomada Association for the Integration of Multicultural Society – a Wroclaw-based NGO working for human rights, their popularization and defense, especially amongst disadvantaged groups, immigrants, foreigners, ethnic and religious minorities. We work for the comprehensive development of an open and civil society. We strive to shape the attitudes of interpersonal solidarity and the understanding of people from different backgrounds and social statuses. We want to break down stereotypes and prejudices. Through our activities, projects and participation in the lives of the groups we work with, we aim to create a relationship based on mutual understanding and good communication. 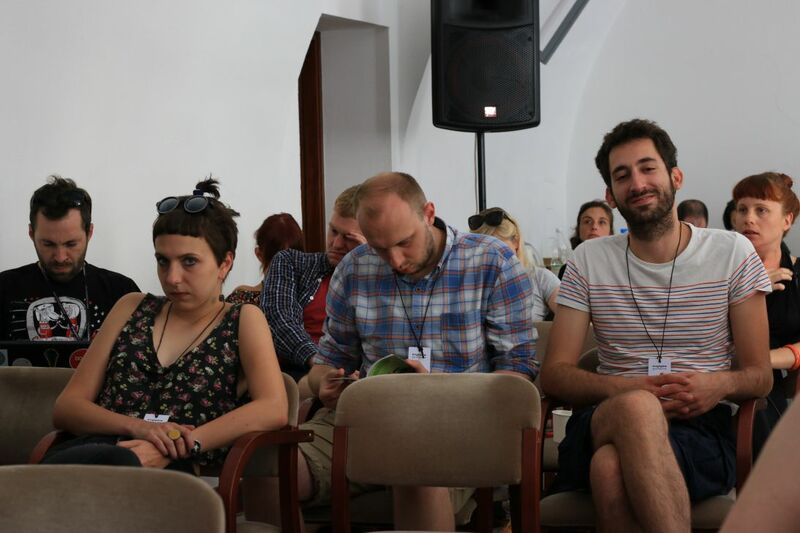 Oberliht Association – a Moldovan NGO representing young artists, which was founded in 2000. We aim to interconnect dispersed artistic scenes to form an artistic community. OpenDemocracy – a global platform that brings people together to inspire progressive change and hold power to account. 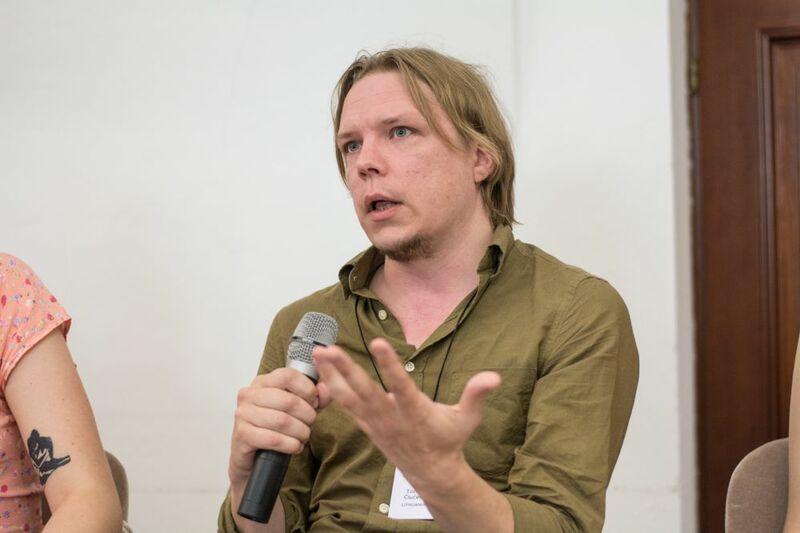 Set up in 2001 in response to the war on terror, openDemocracy pioneered digital journalism in the 2000s and maintains an open, pluralist platform for writers from around the world. 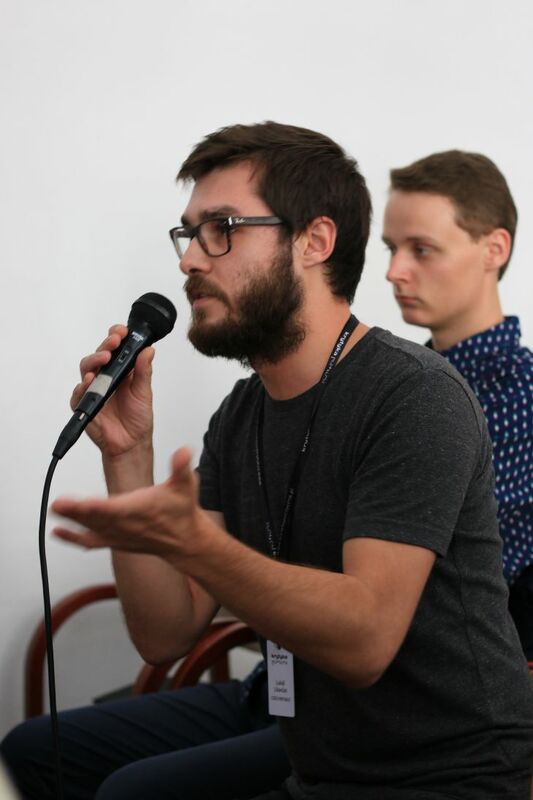 oDR, an openDemocracy section set up in 2008, works to promote dialogue and debate in Eurasia, publishing articles on activism, cultural politics, environmental campaigns, media critique, migration and labor rights in English and Russian. 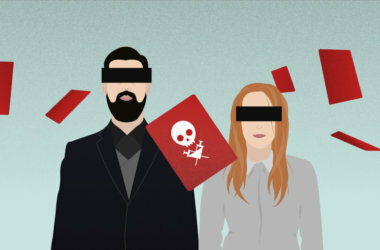 Openleft.ru – a Russian public platform, which provides a left-wing point of view on current Russian and international politics, as well as on cultural processes and critical theory. 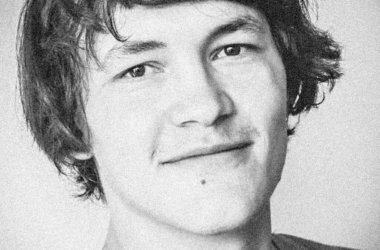 pARTisan media project – a media project, which includes pARTisan magazine (focusing on Contemporary Belarusian Culture), the pARTisan’s Collection series (albums by Belarusian artists) and the website partisanmag.by. 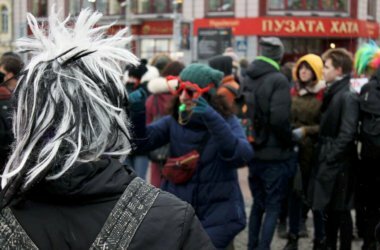 We explore and present the most current, questionable and often controversial phenomena in Belarusian culture-art, literature, music, cinema and theatre. We seek to open borders not only in a figurative sense but also in a literal one by keeping track of new trends in world art, to collaborate with foreign authors and to publish special issues on contemporary cultures of other countries. 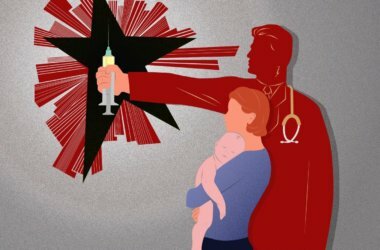 POLE – a blog that offers an alternative to the mainstream media. 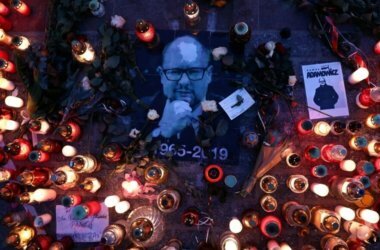 It was set up as a reaction to the narrow field of discussion that is offered by Slovak media. 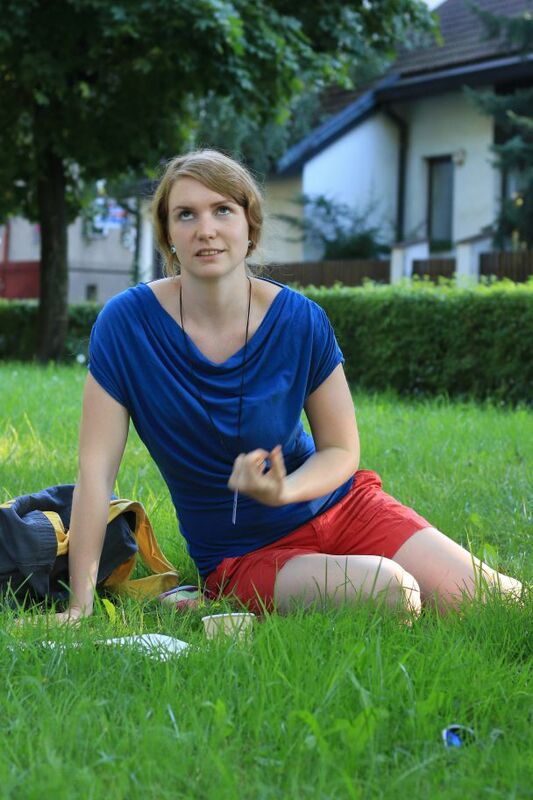 Our aim is to broaden this field and to contribute different perspectives on Slovak society as well as world events. Our blog mainly focuses on economics, politics, culture, the natural environment and sport. One of our main goals is to bring an everyday persons’ perspective to discussions and to focus on questions of identity connected with lifestyles and broader social phenomena. 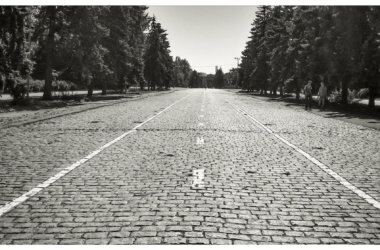 Political Critique – an online magazine and opinion website published by Krytyka Polityczna, focusing on Central and East European politics and culture. 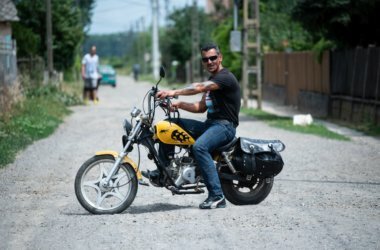 Political Critique Ukraine (Політична критика) – a media organization aimed at developing and disseminating critical meanings and narratives and a non-profit publishing house. 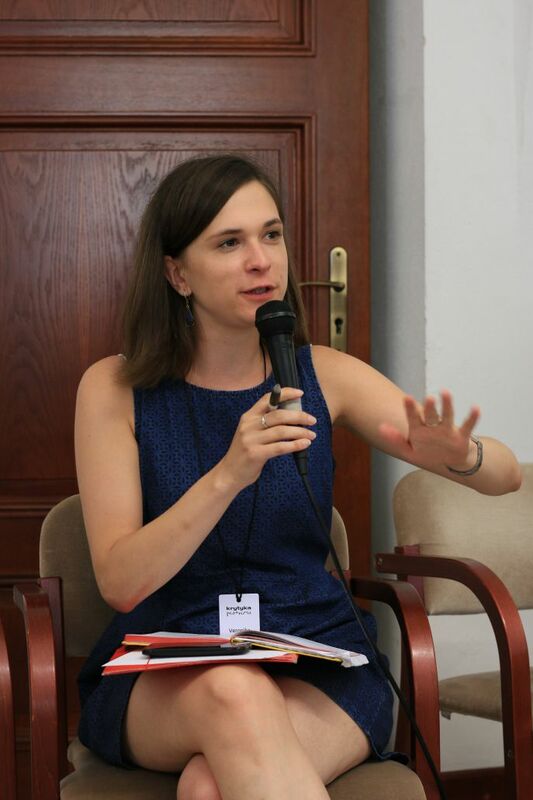 Our original materials and translations aim to critically review the political situation both in Ukraine and abroad as well as to popularize the idea of equality in all areas of social life. Radnicka prava – an online portal which archives all of the information published by national and international trade unions and trade union federations. We provide an overview of news, articles and video materials focusing on worker’s rights and struggles. 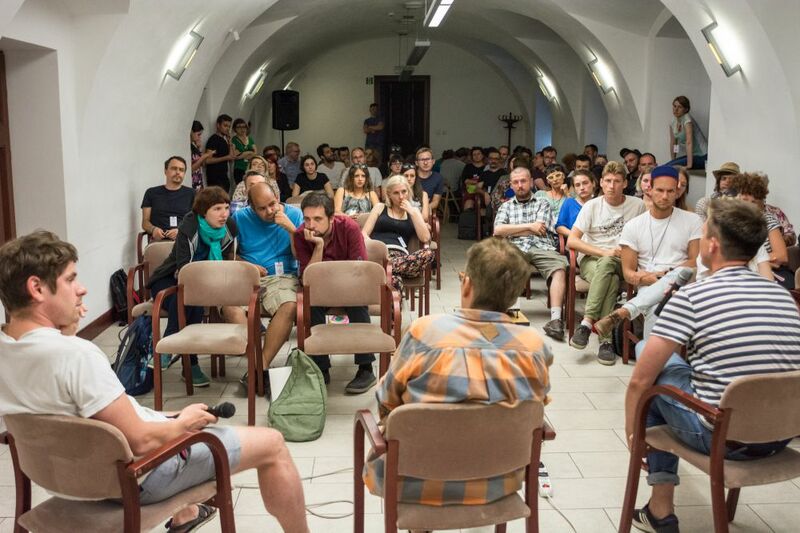 We organize discussions, workshops, demonstrations and strikes in Croatia and the surrounding regions. R/evolutions: Global Trends, Regional Issues – a political journal, a yearly English open access publication. Each edition contains two topics (one Global Trend and one Regional Issue). The idea behind R/evolutions is based on three interrelated concepts: networking, quality and its choice of topics. ‘Rita Baum’ Association of Culture and Art – a Wroclaw-based association which aims to operate for the benefit of the general community. We seek to: nurture and develop the arts including literature, theatre, visual arts, music, film, photography and new media; cooperate with creative communities both in Poland and internationally; develop a local identity by combining a city’s traditions with the search for new artistic forms and platforms; activate cultural communities; support of the idea of ‘self-government’; contribute to Wroclaw based socio-cultural initiatives; establish contact with representatives from other cultures and communities; strive to promote attitudes of tolerance towards cultural differences, race, ethnicity, religion and sexual orientation; develop open and ecological relationships with the immediate surroundings and in the immediate vicinity; support and organize events and cultural initiatives and social integration with people with disabilities (especially the blind and visually impaired); organize sporting events (especially football), support sporting initiatives and social integration through sport; organize rest breaks for children, adolescents and adults. 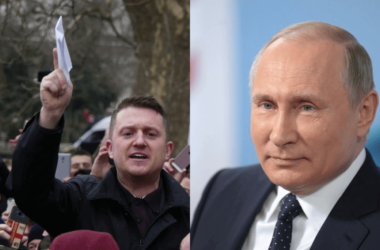 Russian Socialist Movement – was founded in March 2011 by two organizations, the Socialist Movement Vperiod (“Forward”), Russian section of the Fourth International, and Socialist Resistance. We are part of the “Left Front”, an alliance formed during the protests against the falsification of the Russian elections in 2011 and 2012. 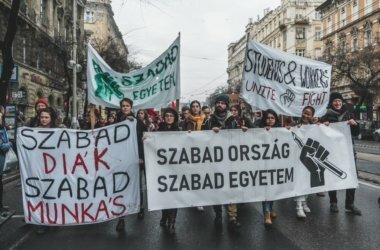 Solidarita – a Czech anti-capitalist magazine aiming to build a network of activists, actively engage in politics and to broaden the political debate with new topics. Socialistická Solidarita (SocSol) – a grassroots movement seeking to analyze domestic and international situations and to bring Marxist theory into contemporary debates and the anti-capitalist movement. We do this through our publications and by organizing lectures and discussions. Subtopia – a municipally owned cultural and creative cluster focusing on social and artistic development within both the business and not-for-profit sector. The spaces/studios/offices are located in Alby (south of Stockholm) and the 15000 sqm of space is managed by Subtopia and rented out to organizations working within the above-mentioned realm on permanent or short term contracts. Subtopia works as a facilitator for establishing the best possible platform for everything from major budget movies to local activist initiatives. 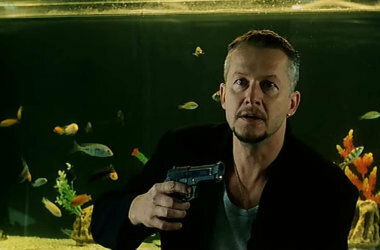 Szturm – originated as an initiative on the part of a group of students in 2010. We started with organising debates in Warsaw’s secondary schools, with a view to bring up to school youth significant social issues. Currently the actions of Szturm have the form of reading classes, where we discuss seminal texts of the Left. 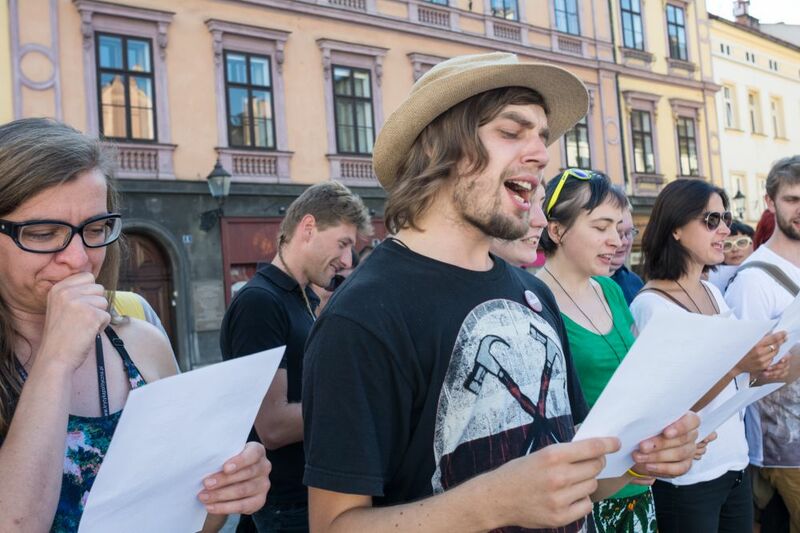 Apart from that, we get involved in the actions by Krytyka Polityczna, such as Jacek Kuron Festival. 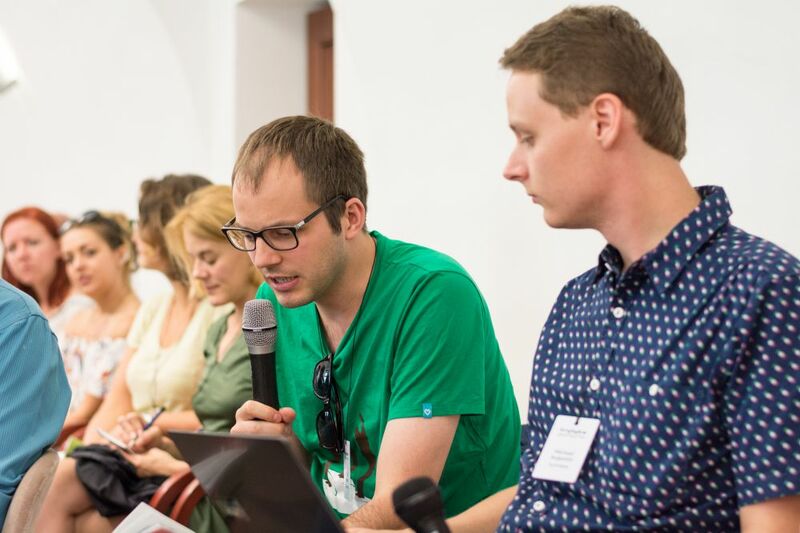 Time to Talk – a network established in 2011, is a young and vibrant pan-European network of centers of debate, dedicated to stimulating discussion on key socio-political themes of the day. Picking up where public discourse leaves off, we tackle vital questions which mainstream media commentaries either ignore or only superficially observe and our members look to confront uncomfortable issues and offer inspiring new points of view and encourage audience participation. Time to Talk aims to bring citizens together in deliberation and encourages them to respectfully disagree and remain open minded about the world around them. Tolerado Stowarzyszenie na rzecz osób LGBT – an association acting on behalf of LGBT people in Poland. We deal with anti-discrimination, provide psychological and legal help, conduct workshops, organize cultural events and festivals and hold regular meetings for members and sympathizers. 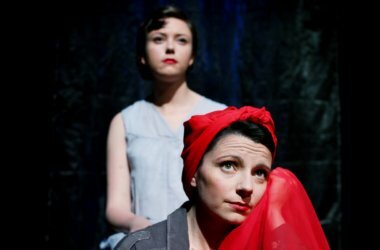 Trójmiejska Akcja Kobieca – a group whose aim is to prevent discrimination against women in public life and to promote balanced participation of both sexes in every sphere of life. 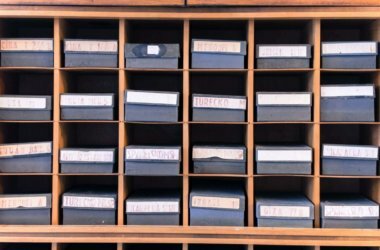 Visual Culture Research Center (VCRC) – was founded in 2008 as a platform for collaboration between academic, artistic, and activist communities. We are an independent initiative, and are engaged in publishing and artistic activities, scientific research, organization of public lectures, discussions, and conferences. 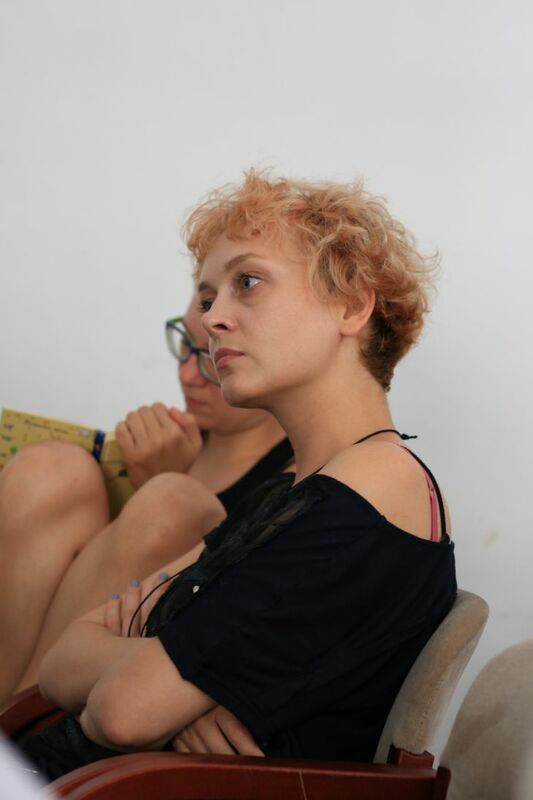 In 2015 the Visual Culture Research Center received the European Cultural Foundation’s Princess Margriet Award and was also an organizer of The School of Kyiv – Kyiv Biennial 2015.